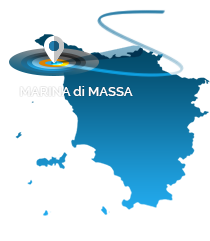 Camping Calatella offer to their guests different types of bungalows in Tuscany in Marina di Massa. 2 to 6 person bungalows, 4 to 6 person caravans with a porch and a 5+2 person mobile home. Camping Calatella in Marina di Massa is a pet-friendly camping, dogs are allowed in the bungalows.